If you have the Yudu basic package, you know it comes with a very sparse amount of supplies: a couple of emulsion sheets, a transparency, and 2 oz of black ink. 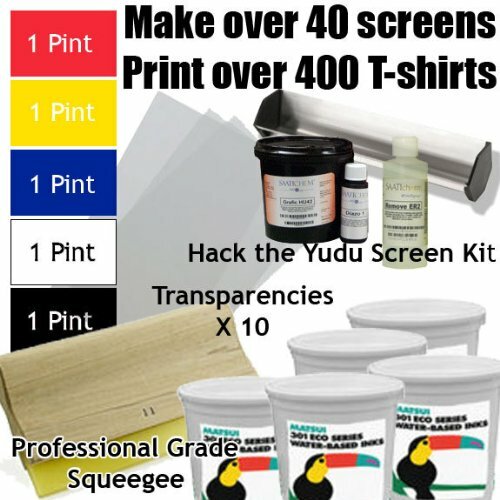 Our Get Going with the Yudu Package sets you up for T-shirt production with lots of new materials! If you have any questions about this product by diyTeeShirts, contact us by completing and submitting the form below. If you are looking for a specif part number, please include it with your message.